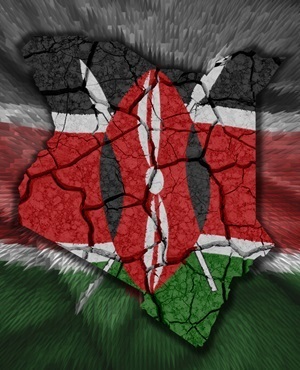 Washington - Kenyan President Uhuru Kenyatta, in Washington this week to court Western investors, has sought to downplay a spate of violent attacks tied to militants in neighbouring Somalia and their impact on Kenya's economy. "Yes, we may have pockets where we have problems - which we know and are focused on how to address. But the rest of the country is actually trouble-free," Kenyatta told Reuters in an interview on Thursday from a hotel overlooking the White House. Kenyatta, the son of Kenya's founder who was elected last March to lead East Africa's biggest economy, has been touting the country as a resource-rich hub of innovation, talking up the benefits of East African integration and detailing vast plans to improve the country's shaky infrastructure. But he has also been plagued by questions about security. Last September, Somali-linked Islamist militants attacked Nairobi's Westgate mall and left at least 67 people dead. This summer has seen a spate of killings, mostly along Kenya's coast, prompting several Western nations to warn their citizens against travel to parts of Kenya. In June, after two attacks left 65 people dead on the coast, Kenyatta dismissed claims of responsibility by the al Shabaab militant group, instead pointing the finger at rivals he described as "hate-mongers," though he did not name anybody. "Look, we know that al Shabaab played a part," Kenyatta said on Thursday. But he again suggested that "local networks" in Kenya were also involved in an effort "to help achieve a petty political agenda." Al Shabaab has said its attacks are intended to punish Kenya for sending troops to Somalia to confront its Islamist fighters. Kenyatta has repeatedly said he had no intention of removing Kenyan troops from Somalia, saying that would only be done when Kenya's neighbor to the north, which has been without a functioning government for more than two decades, is stable and can secure its borders. Kenyatta has mostly kept a low-key profile at this week's US-Africa Business Forum, a three-day summit meant to showcase US interest in improving trade and investment on the continent. But he said he believed the gathering had helped make American businesses aware of opportunities in Africa. Although Kenyatta said he hoped to attract investors in the power, resource extraction and technology sectors, he said Kenya was meanwhile working to make the country more hospitable to business, in part by making it easier to move goods. Asked to name his top three infrastructure priorities, Kenyatta said he aimed to double the country's road network, expand its rail sector and complete a second container terminal at the Indian Ocean port of Mombasa - the biggest in east Africa and the region's trade gateway. Kenyatta added he would like to see completion of a second port in Lamu, north of Mombasa - part of a $25.5bn regional infrastructure project aiming to link landlocked east African nations to the sea - as well as a new passenger airline terminal in Nairobi. "It may not be complete within five years," Kenyatta said of the five projects, "but if Kenyans give me an opportunity for a second term they should be complete by the end of my second term."